Glasner’s interest in working with the visually impaired community began at a young age almost by accident. While in high school, a teacher strike lasted about three months and spurred Glasner to look for volunteer work. She found a volunteer position at the Lighthouse in New York and Queens. She had already aspired to be a teacher, and working at the Lighthouse focused her goal to teaching students with visual impairments. She became a teacher of the visually impaired right after graduate school (where she earned an MA in special education) and continued teaching in a career that spanned some 35 years. While teaching, Glasner realized she could help her students and clients more effectively if she were qualified to counsel them. A Masters in Social Work enabled her to incorporate counseling into her teaching. She honed her skills in the school system, and then began several years of work at the Lions Low Vision Center at the Wilmer Eye Institute, Johns Hopkins Medical Center. She subsequently started her own practice. In her practice, Glasner provides a combination of treatments. She cites her biggest role as a talk therapist. There are times when she incorporates some rehabilitation therapy into her treatment of patients, because studies have shown that a person's mental health is related to a person’s functional ability. She also helps patients find resources in the community that will fill their needs. Glasner notes that low vision patients are often misunderstood because their vision challenges are not evident to others. Her clients sometimes feel that family members don't grasp the extent and implications of their vision loss. People also find that the functional implications of having low vision are hard to deal with, and this often leads to depression, and perhaps withdrawal and isolation. She cites these as some of the larger psychosocial consequences of impaired vision. When meeting a new patient, Glasner first deals with psychosocial implications, exploring how the patient’s impaired vision affects their emotions and coping abilities. She provides moral support and shares information about community resources. One of the objectives of her work with clients is to make things a little less overwhelming. Patients are assured that the discussions are completely confidential. 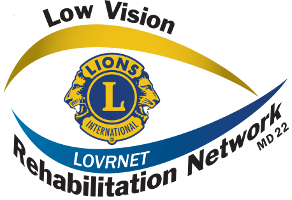 Glasner considers low vision rehabilitation to be a team effort, which includes the client, family members, medical and rehabilitation specialists. 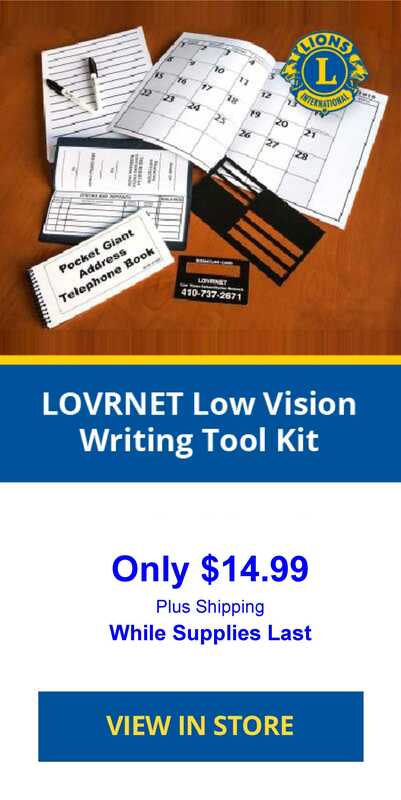 Good contrast, proper lighting, magnification, and good organization are important to the person with impaired vision. Life can be made easier and safer for clients with such adjustments as tactile markings of appliances, the installation of handrails, improved contrast, the use of technology and identified transportation resources. In their adjustment to vision loss, Glasner encourages her clients to be as independent and active as possible, to set realistic and attainable goals, and to accept modifications as needed. She hopes that her clients can recognize that vision is only part of who they are and that they can continue to live meaningful and productive lives. In addition to her twenty years of experience in private practice as a Certified Low Vision Therapist, Licensed Clinical Social worker, and her twelve year career at Wilmer as a social worker, Glasner is also a vendor for the State of Maryland Division of Rehabilitation Services (DORS). Glasner continues to be a presenter at conferences, workshops and support groups where she shares her knowledge with other professionals and the low vision and blind community. If you would like a consultation with Glasner you can reach her by phone (301) 602-5484 or email nmglasner@gmail.com.